The Linksys Business Cloud Access Points provide a secure, high-speed Wi-Fi connectivity, and advanced security and management features so staff or members can bring their own devices to the workplace, and can stay connected to your network. 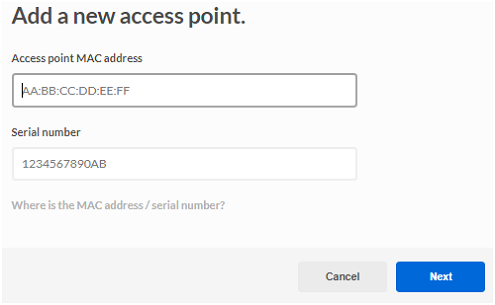 By default, the access point’s IP address will be assigned by a DHCP server. If there is no DHCP server in your network, the default IP address of the access point is 192.168.1.252. 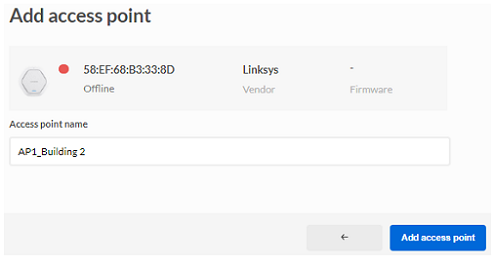 Disabling or enabling the Linksys Cloud Manager will reset all settings. You will need to set up your access point again. 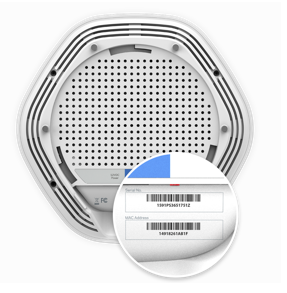 Before setting up via the Linksys Cloud Manager, make sure to write down your access point’s MAC address and Serial number. These can be found on the access point’s backplate or on the box it came in. Turn ON your access point either through its power adapter or via a PoE switch. If the light indicators are OFF, check if the power adapter, or the PoE cable, is properly connected on both ends. Connect your access point to your router’s or switch's LAN port via an ethernet cable. 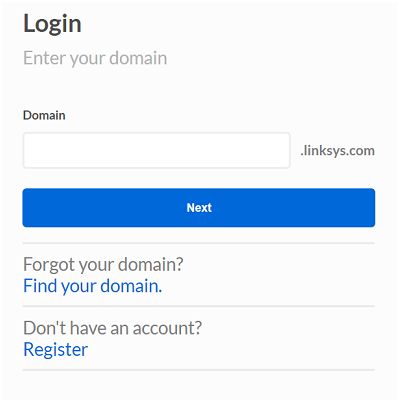 On your computer, launch a browser and go to http://business.linksys.com. NOTE: If you already have an account, click here. Once you have accessed your account, proceed to Step 8. You will be redirected to the Linksys Cloud Manager to create a network. Click on the Create network. button to do so. NOTE: The access point should be online before it can be added to the Cloud. 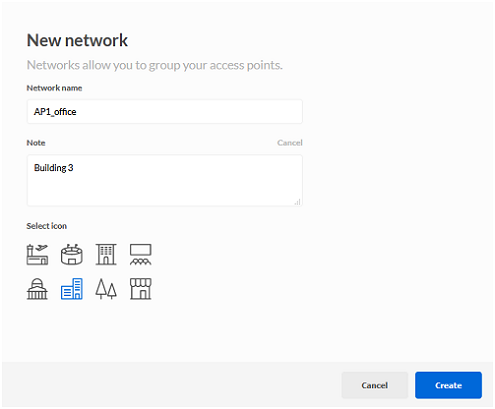 NOTE: If your access point shows that it is Offline after you have checked the connection and / or the LAN settings, you will need to delete the access point from the Cloud and add it again. This can occur after adding a recently reset access point to the Linksys Cloud Manager. 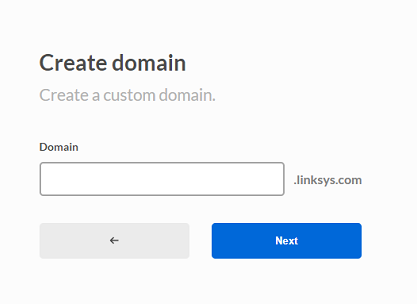 Follow these steps if you choose to disable the Linksys Cloud Manager and use the local web interface to manage your settings. Using a computer that is connected to your existing network, open a web browser and enter the IP address of your access point in the Address bar. You can check the IP address assigned by the router to the access point on the DHCP client’s table of your router’s web interface. 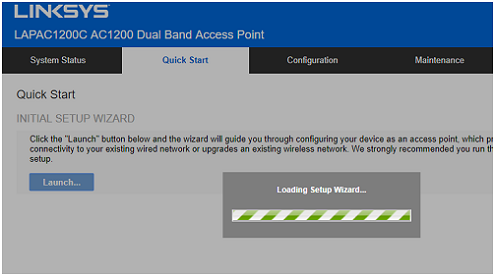 NOTE: If the access point does not detect a DHCP server in the network, it will default to 192.168.1.252. By default, the access point is a client device. Enter admin in both the Username and Password fields then click Log in. 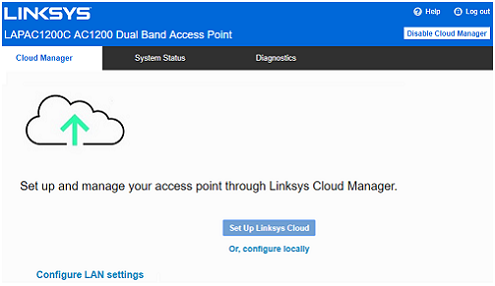 NOTE: Disabling or enabling the Linksys Cloud Manager will reset all previously configured settings. Click on the Quick Start tab then click on the Launch… button to start the setup. Click Submit then click on Finish to close the setup wizard. 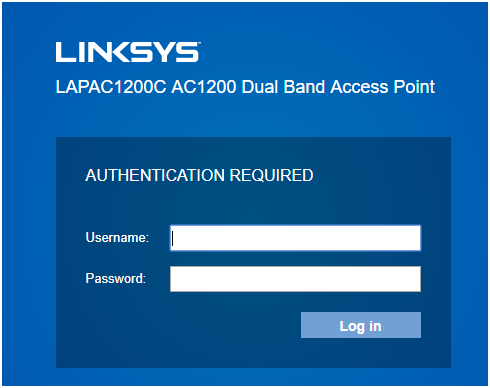 You should now have successfully set up your Linksys Business Cloud Access Points.